It’s a difficult task, making music. If you’re a band and you’ve found a sound that works for you and your fans, you have a dilemma. You can either stick with what you know will work, and make the same music for years (if it ain’t broke, don’t fix it), or you can try to change your sound. Bands choose the latter for various reasons. They want to push the boundaries of their genre (like August Burns Red) or they’ve outgrown their old sound (like Relient K). But what every fan may fear most is that a favorite band will sell out, that is, change its sound in order to make more money or get more radio play. With its latest album, “Ascend,” Nine Lashes did just this. The album was released March 11. Formerly a hard rock band, Nine Lashes traded the electric guitars and drums for a more radio-friendly electronic pop sound on “Ascend.” Take Owl City and mix it with Thousand Foot Krutch, turn down the lyricism and the instrumentality, and you get the new Nine Lashes: boring, generic and not very good. There aren’t really any standout tracks on this album because the songs mostly sound the same. The one exception is the largely acoustic “The Chosen,” but it falls apart at the hook, which repeats the same four words over and over again. “The Glorious” sounds like it came straight out of a Hillsong album, and it wouldn’t be surprising if the song makes its way into some church services. And the opener, “Heartbeats,” is nothing if not catchy. If there is a positive about this album, it’s the lyrics. The songwriting isn’t great or particularly thought-provoking, but at least it’s positive and encouraging, which is important for certain Christian radio stations. 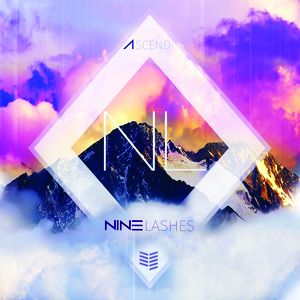 If the band intended to alienate its fanbase with “Ascend,” then Nine Lashes succeeded. When bands try to go for a more pop-like sound, they’re taking a big risk. Fall Out Boy and Katy Perry went from pop rock to straight-up pop, and although they lost many loyal fans, they’re now more popular than ever. Nine Lashes will get more radio play with its new sound, but at what expense? If you’re a CCM fan, you’ll probably enjoy “Ascend.” You’re the target audience for this album. But if you are a fan of Nine Lashes, do yourself a favor and don’t listen to this album. If you do listen to “Ascend,” you’ll only be disappointed. Jonathan Gallardo is a senior journalism major and sports editor for Cedars. Unfortunately, he is in the middle of reading Twilight. No Replies to "Album Review: ‘Ascend’"